This is the summary of consumer reviews for Rubbermaid Antimicrobial Large Dish Drainer. The BoolPool rating for this product is Good, with 3.20 stars, and the price range is $8.34-$14.99. Rubbermaid Antimicrobial Large Dish Drainer is treated with Microban to inhibit growth of stains and odor causing bacteria, which in turn helps keep the dish drainer looking clean and smelling fresh. 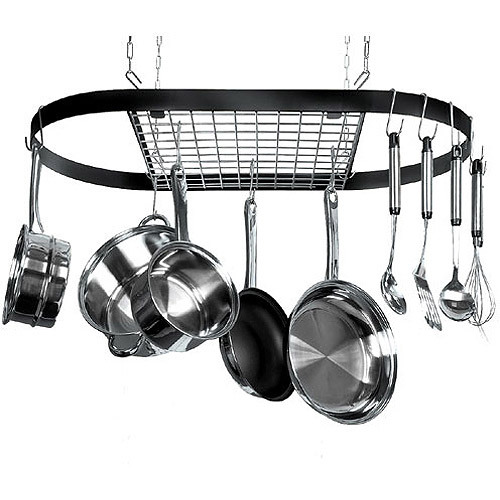 The dish drainer has 13 slots capacity for various dishes and a detachable silverware cup. The drainer is extra deep to hold maximum dishes and sturdy enough to hold stoneware plates securely. 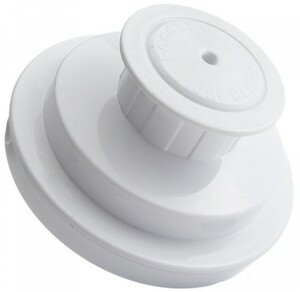 The plastic wire is coated and cushioned to protect dishes/sink and is best functional when used with dish drainer tray. This product is available in different sizes and colors. However, it is noticed that the space between the wires has been narrowed when compared to earlier models, which does not allow the dishes to settle in place, but roll to the sides. Sometimes the plates rub against each other. 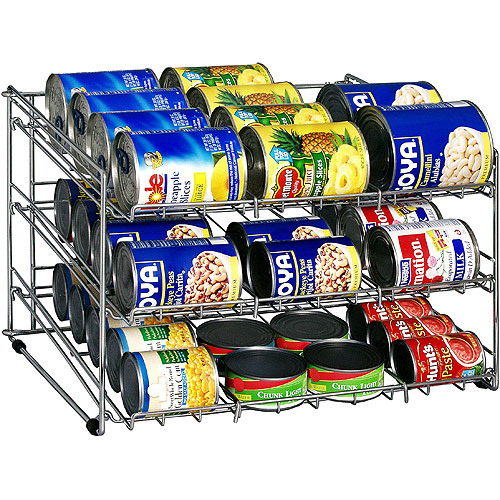 The metal frame is not sturdy enough and bends easily when loaded with more items. The plastic wire cracks up easily and the center area sags after some usage leaving the drain board dirty and clogged. Many users also mentioned that the drainer is not proper or angled high enough to drain water into the sink, water pools in the corner and the runs all over the counter top adding workload and creating mess. Overall, the Rubbermaid Antimicrobial Large Dish Drainer, Black is an average quality kitchen utility product in terms or functionality, durability and design. It is cheap so can be replaced often without burning a hole in the wallet. Small Dish Drainer: (#6008) - Size: 14.31" x 12.49" x 5.39"
Large Dish Drainer: (#6032) - Size: 17.62" x 13.81" x 5.93"
I do think the plastic wire coating could be a little thicker. Wires are a little flimsy. I love my Rubbermaid wire dish drainer. I can dry stemware inside the rack where it's not exposed to damage or bending the wires. It's large enough to hold all the dinner dishes and pans. Also the drainboard is just a little weak piece of plastic. The wire is about 1/3 of my 10 year old rubbermaid. It takes away room for drying dishes. 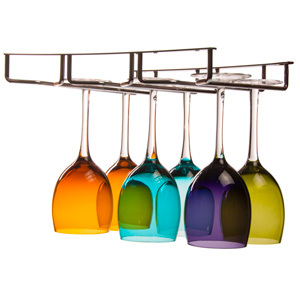 With this rack, the space between those long wires has been narrowed, and so the dishes don't settle in place, but roll to the side where you might normally place glassware. I searched endlessly for a replacement for my very old Rubbermaid, white wire dish drainer, to absolutely no avail. Well, good luck finding it now.This doesn't sit well next to my sink. Fits well under the drainer. These boards work well with Rubbermaid Dish drainers. The drain board had enough angle that it'd drain well. This's very hard and doesn't clean off as well. 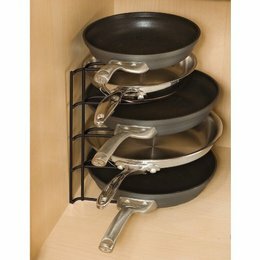 It's very well made and holds a lot of pans. Well, I just bought a new one that. The product is however serving fairly well and should last for years. Well, this drain board is a royal pain-in-the-you-know-what to keep clean. The metal frame of the drainer isn't sturdy enough, bends easily when a number of heavy items are placed in the drainer. The plastic started to crack within the first 1-1/2 years. So disappointed with this item. Will look here first if and when I need a replacement. Both are of hard plastic and not suitable. My dad purchased a stainless steel dish drainer at an expensive price, and it's already starting to rust! I purchased this dish drainer about three years ago, with the utensil container in the corner, mocha colour. I've had my RubberMaid Wire Dish Drainer for nearly 3 years now, and it looks brand new. Feels like I could bend it in half with my bare hands. Shame on Rubbermaid for manufacturing an inferior product. Sturdy, wide, designed to shed water. The drainboard doesn't angle high enough, or sit high enough where the water should pour, for water to drain. Just like the other reviews, water runs onto the counter top. Not sloped enough to drain all the water. I wipe up a lot of water from the counter. This causes water to drain over the counter and behind the faucet, causing water damage and a constant mess. The angle isn't correct for all the water to drain, the sidewalls are too shallow and water runs onto the counter. Product worked nicely for one week after which the center area sagged and water sat without draining. It does drain about 95% of the water. So now I've a dirty drainboard that always pools water in the bottom corners. 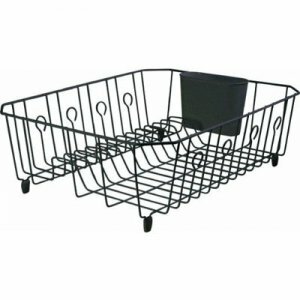 My old dish rack with the silverware holder in the corner was of much better quality and design. Instead of the square design, it's now rectangular, and the utensils and silverware fall over. With the silverware holder in the corner it was designed to be very efficient. The elongated silverware holder allows for shorter utensils like spoons and salad forks to nearly lay horizontally in its bottom. The long rectangular silverware container causes silverware to lay sideways, taking up the whole space. Plus the new design allows you to distribute your silverware rather than cram all into a small corner cup. The silverware holder is now elongated at the back instead of the cup design in the corner and all the stuff falls over. 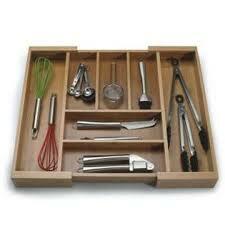 And with the new design you can slide the silverware holder to an optimum position - super idea. On the silverware end this allows that badly designed container to easily slide down and out of the basket. What happened to Quality Products. The product is currently available at. I think Rubbermaid has improved this product. Great product works like I expected it. 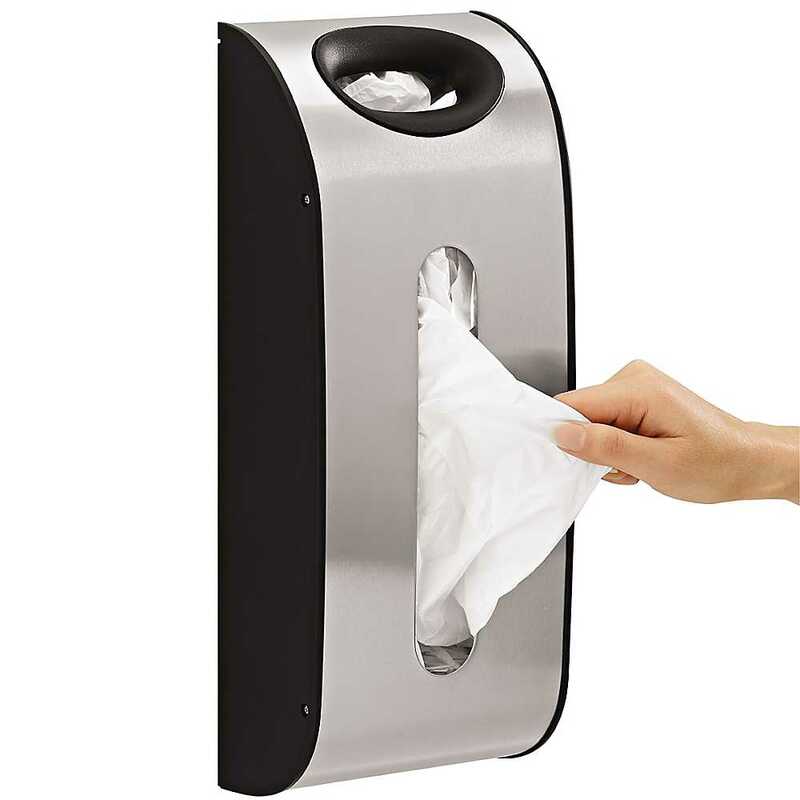 This product is cheaper than the previous models. Purchased this product to match the granite counter tops. This new product is AWFUL. Fits well next to sink. fits in my sink to save counter space. It fits perfectly in my double sink. I've a double sink and this item fits perfectly. Fit my sink, does its job. But it's contoured for sinks with no rim height (think of undermount sinks). Water pools a bit on the corners, but it fits the sink. doesn't drain if you don't have an undercounter mounted sink, My sink i sthe old style with a lip on top opf the counter. This allows for more counter space than ordinary drainboards.It's angled appropriately to let water drain into the sink.